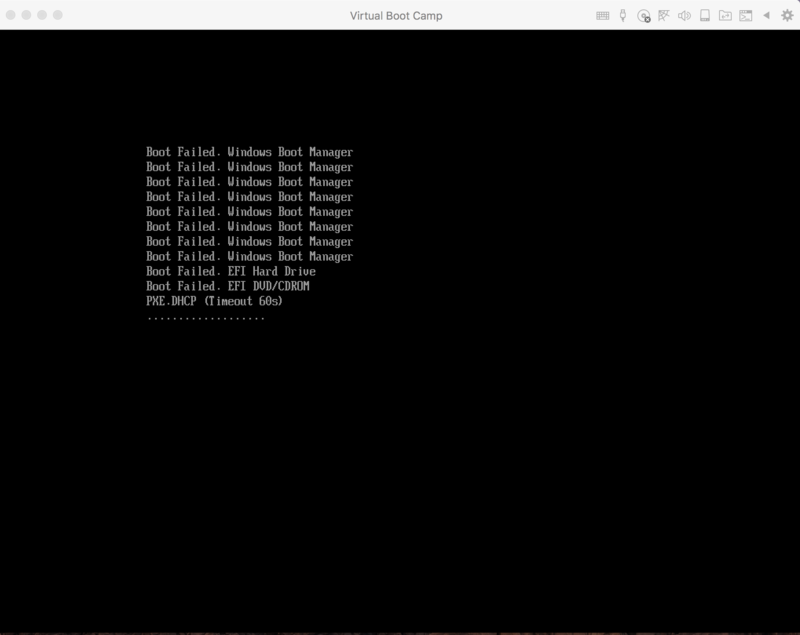 I can no longer boot Boot Camp partition (BCP) running Windows 10 Pro 1703. 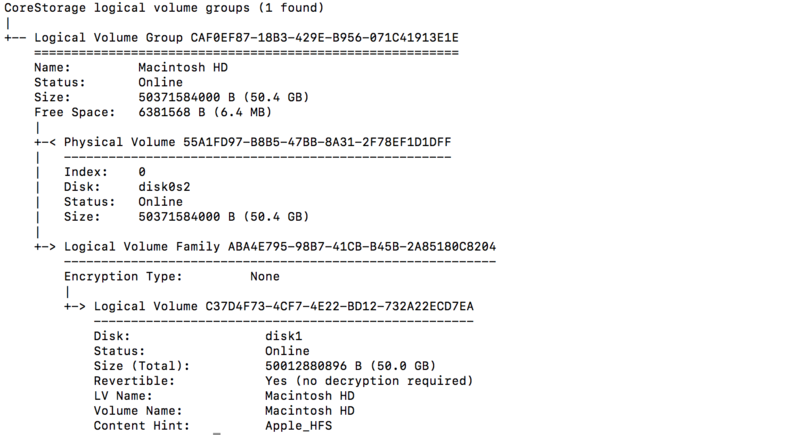 I am also unable to start Parallels 12.2.0 Virtual Machine based on the same BCP macOS side. Problem occurred suddenly without warning. I cannot isolate any action from user side that could have led to this situation. 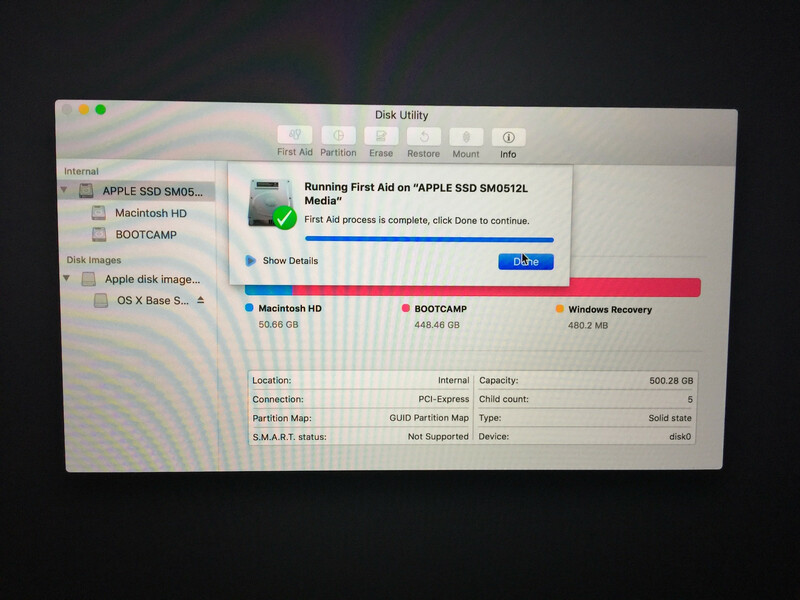 I did not try to resize partition. 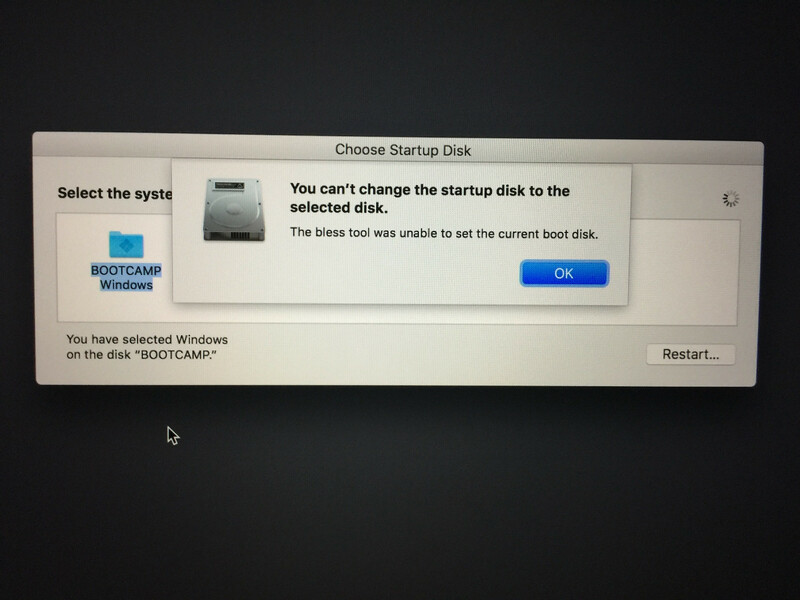 I would like to boot from internal BCP as I was able to a few hours ago if possible. 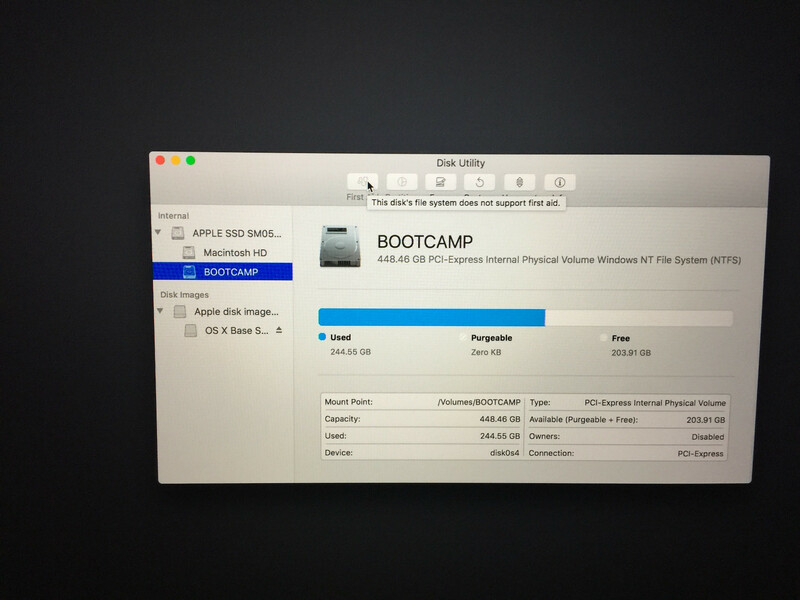 I do have a backup saved disc image (WinClone 6) from a few weeks back and a backup I made after the issue began. 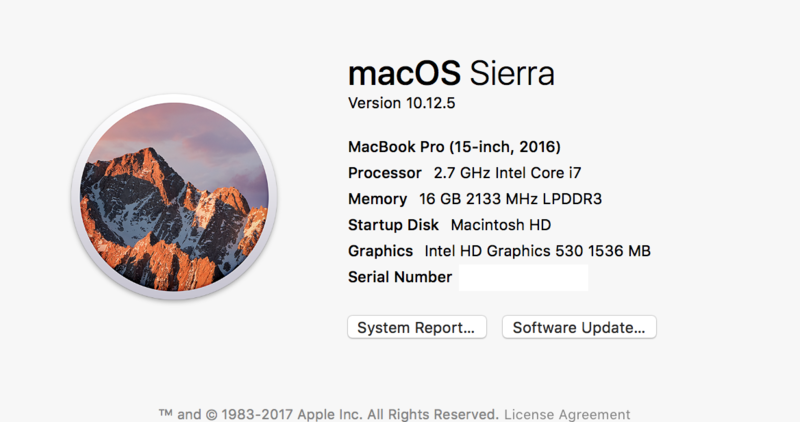 I would like to avoid a solution where I have to clone BCP to external SSD and transfer it back to notebook. 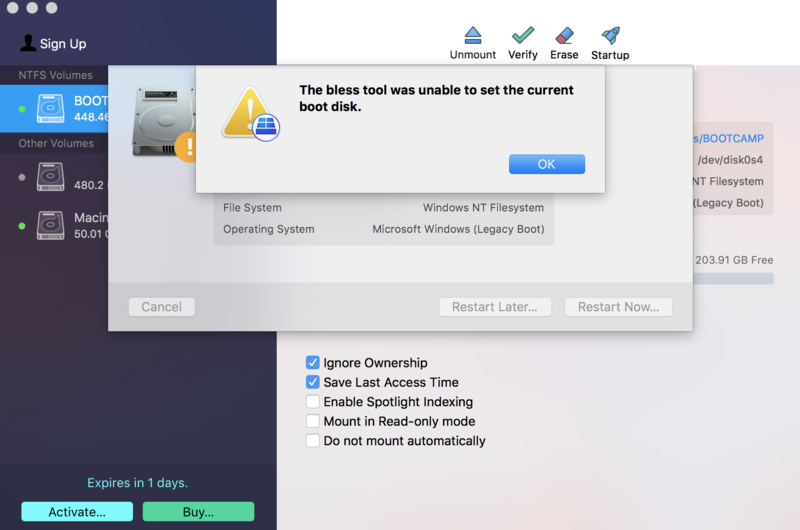 CMD+R (Recovery Mode) + Verify + BCP select restart -> "The bless tool was unable to set the current boot disk"
I was able to resolve macOS Sierra error about the bless tool by using the pictured setting on WinClone 6.0.3. 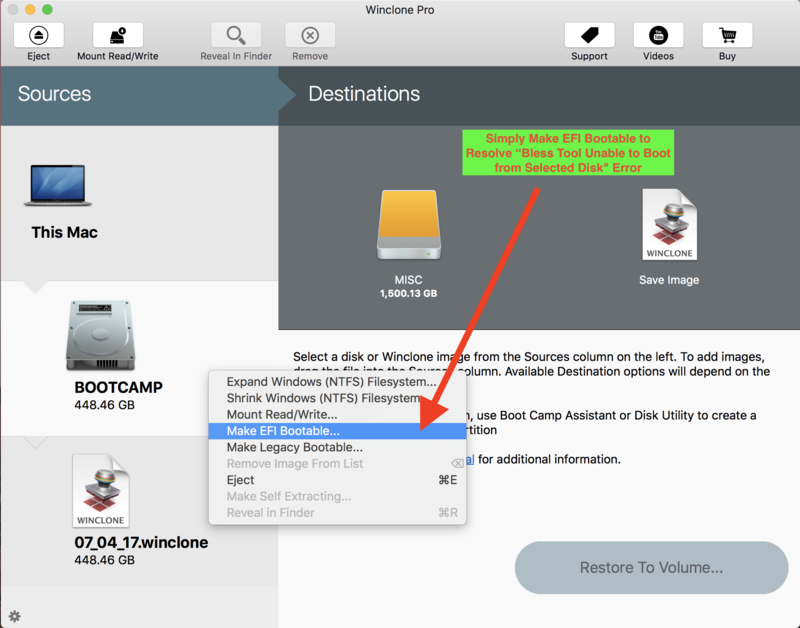 I did not restore from winclone backup but rather just made my BCP bootable as an EFI instead of legacy BIOS drive. 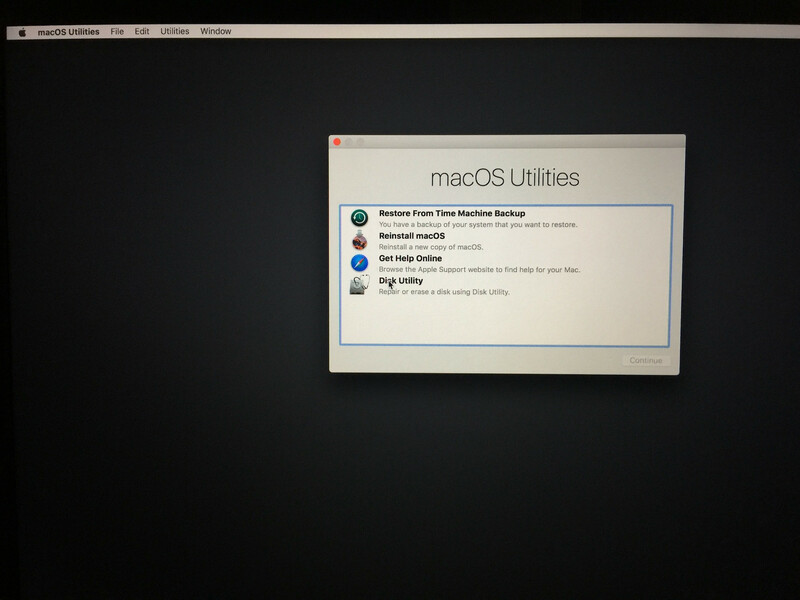 For some reason macOS started to view BCP as an unbootable legacy BIOS drive. 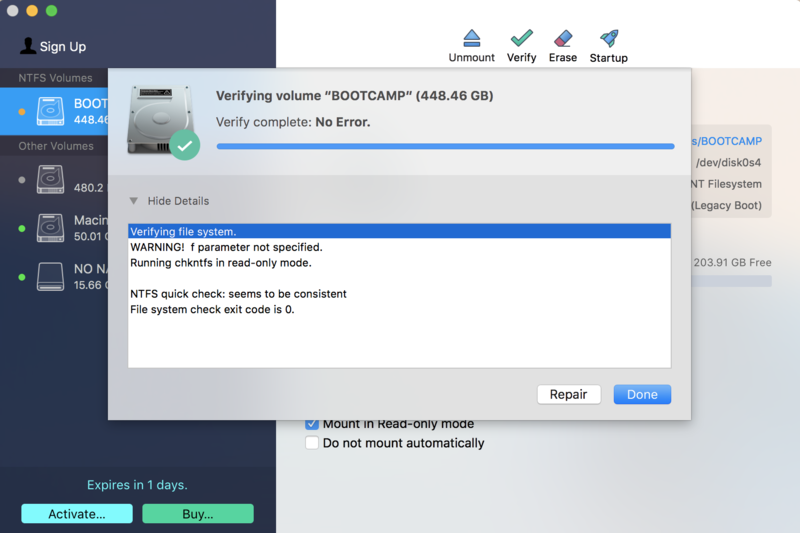 My guess is installing Paragon suite of tools like NTFS, Hard Disk Manager, and ExtFS for Mac had this sudden and unintended result during the runtime environment. 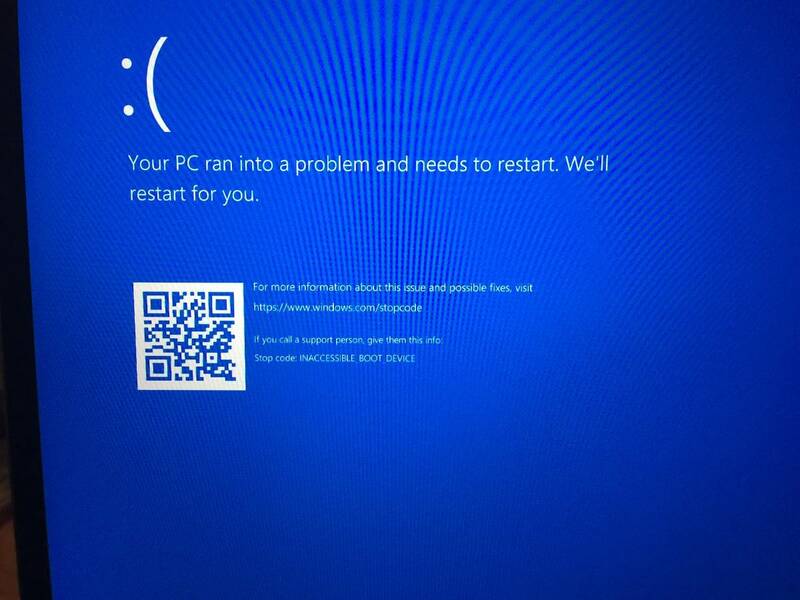 To prevent BSOD sysprep appears to be necessary when restoring WinClone backups on external drives. Not the answer you're looking for? 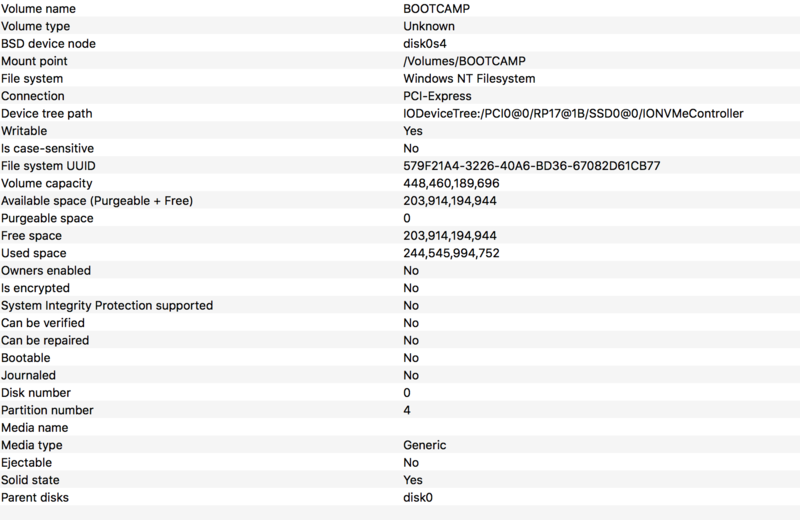 Browse other questions tagged sierra bootcamp windows partition parallels-desktop . 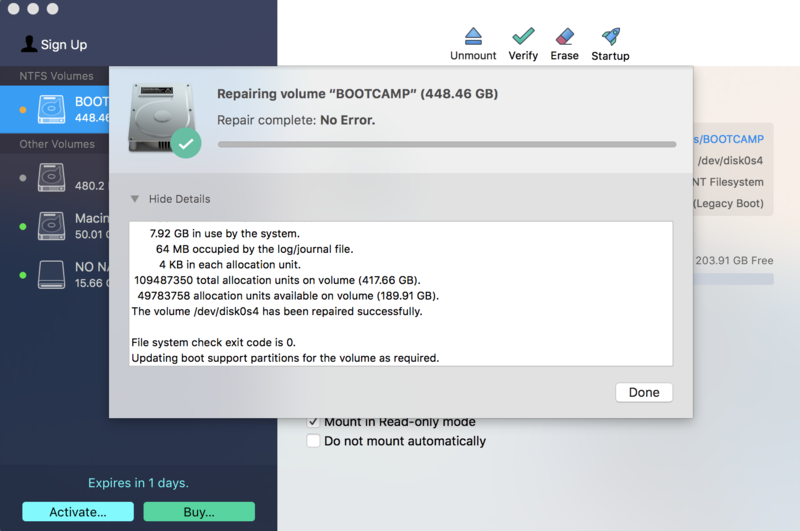 How do I repartition my Mac to get rid of my dual boot setup?